Business unit leaders and L&D professionals share a common goal: to equip their people with the skills and knowledge needed to perform at their best and achieve business outcomes. According to data by the UK's Chartered Institute of Personnel Development (CIPD) and research organization Towards Maturity, many aren’t prepared to achieve that aim. said they believe business planning is a top priority for the profession, but only 47% said they have the skills needed in-house to achieve organizational change. said supporting learners online is a top priority, but only 36% said they have the capabilities to make this happen. The missing piece of the puzzle is flexibility and adaptability. Old methods for creating and delivering training are just not working, and being agile is more critical than ever to training success. What does it mean to engage learners? 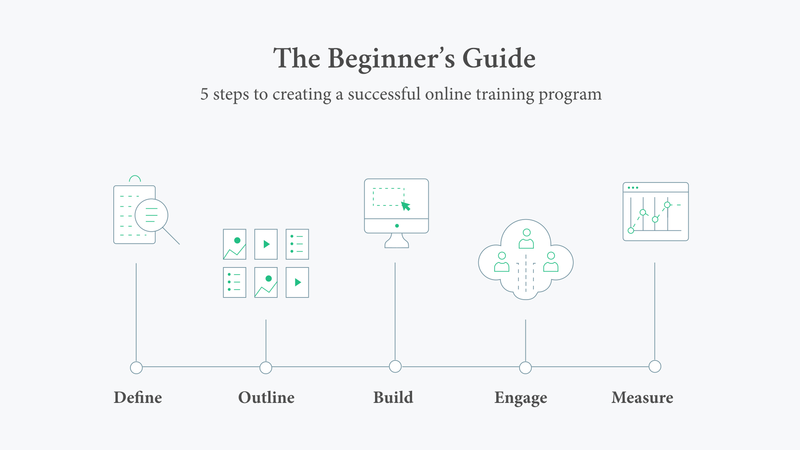 What Makes Online Training Successful? Traditionally, a company’s training needs are met with the creation or contracting of a learning and development (L&D) team. Instructional designers, project managers, subject matter experts and the like gather in a room to lay out a plan (typically with a six-month timeline) for the development of an extensive training program. And aside from the occasional maintenance updates, the L&D team’s accountability ends there. While that method of training development was deemed sufficient for some time, companies have evolved significantly in recent years. New business models have been introduced, today’s workforce needs have changed and there's now a demand for training to serve a much bigger role in organizations. And, due to the affordability and accessibility of turnkey training technology, training no longer lives exclusively under the umbrella of L&D. Marketing managers, sales directors and other business unit leaders are becoming aware of the benefits of online training. They know that compared to face-to-face methods, eLearning increases retention rates from 25% to 60% (Research Institute of America). They understand that they can achieve an 18% increase in employee engagement by implementing it (Molly Fletcher Company, 2013). Some have even heard of employees learning five times as much material in online training than with in-person training (IBM, 2013). But what most companies aren’t aware of (though the most innovative are catching on) is that online training can play a much more strategic role in any business. In fact, 42% of companies using eLearning reported that it has increased their revenue (Ambient Insight, 2013), with revenue being 26% higher per employee for companies using training technology. So, it is no surprise that 72% of companies believe it has increased their competitive edge (Certifyme.net). Tactical and strategic in planning your initiatives. Effective in fostering knowledge transfer and retention. Data driven in proving the success of your training.